As a local business, Vale Vets has been running a first class veterinary service for over 25 years. We focus on offering clients across Croydon and the surrounding area with high quality services designed to make sure that your pets get the very best care available. As an independent business we understand how important the health of your pets can be, which is why we provide expert advice and quality services wherever possible. Lots of Croydon residents prefer to come north to Vale Vets for their pet’s health needs. From Mitcham Common it takes five minutes to get to Streatham Vale along Windmill, Manor and Rowan Roads. The closure of Greyhound Lane Railway Bridge means Streatham Vale is now an easy place to park and shop. 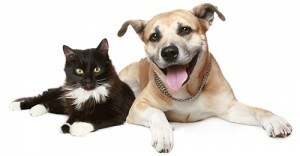 We focus on providing all our clients with everything you and your pet will need. Starting with regular health checkups for cats, dogs and even small animals, we provide vaccinations for your new puppy or kitten as well as offering expert advice on the best form of treatment for your new pet. Our expert pet care plan helps you to benefit from a comprehensive list of free appointments as well as a 10% discount off everything else you may need us for and is available for Cats, Rabbits and Dogs of any size. A pet is a companion for life, so with a huge range of service available from flea control to microchipping we cater for all your pet care needs. Why not visit our services page for a full list of healthcare options for your pet? Originally built as a farmhouse in the early 19th Century, Vale Vets came about in the mid 1980’s by a man named Peter Ross. The building was extended in the rear to provide space for more veterinary equipment such as an X-ray facility and adequate kennelling space for visitors. dedicated his time and effort into creating the perfect workspace for both surgeons and patients. An out-of-ours facility was founded on Streatham High Road in 2003 in order to provide healthcare and emergency services to clients around the clock. The redevelopment of the main surgery in 2005 and 2006 to create more spacious consulting and reception rooms as well as providing air conditioning has made Vale Vets a more pleasant experience for pets and their owners. Our professional team are always on hand to provide our clients with expert advice and assistance whenever we can. To get in touch with us regarding our services, or if you have a personal concern regarding the health of a pet, please contact us today. Those living near Croydon and surrounding areas will also benefit from our experienced services, if you are coming from Thornton Heath or Mitcham visit our areas we cover pages to find directions to the clinic. You can give us a call on 020 8679 6969 or email us at info@valevets.com where we will get back to you as soon as possible. If you are looking for vets in Croydon but require a modern, well equipped practice we are always on hand to provide professional advice. We look forward to hearing from you soon.